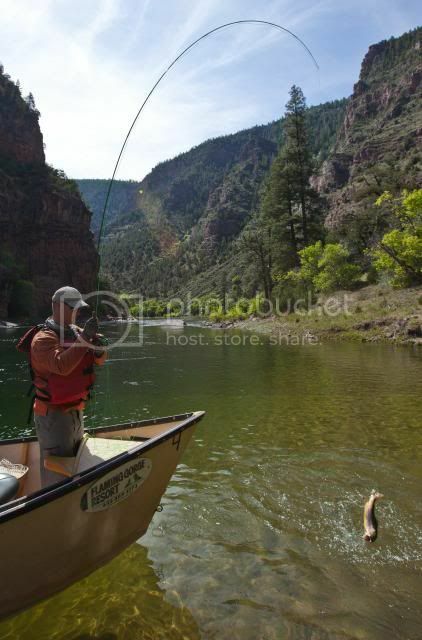 Flyfishing the green river below Flaming Gorge dam can be the experience of a lifetime. No matter if your an expert or novice flyfisherman, like to throw dry flies or wet, there is something for you. Green river flyfishing is known worldwide and is considered one of the best tailwater fisheries in North America. According to the Division of Wildlife Resources in Utah, the green has between 8000 and 22000 fish per mile between the dam and Red Creek rapids. Trout fishing doesn't get any better than this. If you're going to come and fly fish the famed Green River you need to know your ABC's. The regulatory agencies have given each section of the river a designated letter, A, B, or C.
This is the most famous section of the river. With over 100,000 fish on this section and red canyon walls that reach as high as a thousand feet, it's no wonder. Consequently, this is where most of the river traffic lies. When you fish the "A section" you get the feeling your on a giant aquarium. There is no better place to watch the feeding habits of trout and learn the techniques used to catch them. Using a guide can help you find those fish that don't get caught all the time and are hard to catch. The fish on this section are not as spooky and easier to catch by novice fishermen. 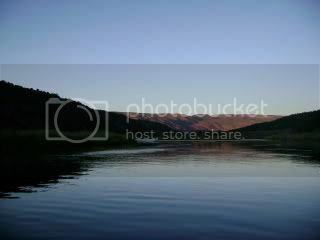 It is also used by recreational rafters and kayakers. From June 15 to labor day the river will be crowded with these recreational floaters, particularly Thursday through Saturday. There is a walking trail that allows you to access all 7 miles of this section. Considered the best place to catch a football size trout on a dry fly. The C Section is a personal favorite. It meanders through Browns Park riffle to run to flat constantly turning back and forth. There are a variety of hatches on "C" and these fish are more wild. Bring your "A" game! Spooky fish and wind make the section a challenge. The majority find it the most rewarding. The biggest perk: NO CROWDS!